Transoxiana, the land beyond the ancient river Oxus, still to this day remains largely a rather obscure, unknown spot on the map, a land extending far beyond geography, into legend and fairy tale. To most westerners it is better known as the birthplace of Amir Timur (1336 – 1405), or Tamerlane the bloodthirsty conqueror who marked the cities that resisted him with towers made of their inhabitants’ cemented skulls. During the centuries, Transoxiana has been invaded and influenced by the Greek armies of Alexander (356 – 323 BC), who built there his Alexandria Eschate (329 BC), the furthermost Alexandria, and left a cultural mark for centuries, and by the Mongol hordes of Genghis Khan (1162 – 1227), the forbearer of Tamerlane. The two most important cities, Samarkand and Bukhara, have at times been centers of the arts and literature, of Islamic philosophy, of the mystical Islam and Sufism and even of the occult. And for a brief period of time, owing it to the exceptionally inspired and gifted personality of Ulugh Beg, the “Great Prince” (1394 – 1449), Tamerlane’s grandson, this obscure part of middle Asia became the astronomical capital of the world and a center of extraordinarily accurate and delicate mathematical computations. The first mention of Ulugh Beg in western literature appears in the chronicles (1403 – 1406) of Rui Gonzalez de Clavijo, the delegate of the Spanish throne to the court of Tamerlane. Clavijo bowed in respect to a ten years old Ulugh Beg, and described a fairy tale scene of the royal family, clad in silk and rubies, residing under tents in a purely nomadic fashion and entertained by trained elephants. Tamerlane himself is described as reclining on a silk rug and pillows next to a water fountain where red apples were being cooled. It would be hard to imagine that the little boy growing in Tamerlane’s court and traveling around with the slaughtering army would become a great patron of science and knowledge, an important astronomer and mathematician himself, and that he would build in Samarkand the most important astronomical observatory of the era. It is true that Tamerlane himself displayed interest to the sciences, the arts and knowledge in general and, like a child that enjoys picture books, he often leafed through a collection of exquisite, illustrated books that he could not read. He also enjoyed a complicated version of chess played on a peculiar board with 110+2 squares, its pieces including camels, elephants and giraffes, perhaps invented with his own contribution. Several members of his family, in-between massacres and the wiping out of whole cities, showed inclination towards the sciences, literature and poetry, in a sick manner proving that knowledge and poetry are not necessarily humane. Still in childhood, Ulugh Beg became the prince and governor of several towns of the empire until in 1409, aged 15, he was appointed governor of Samarkand by his father. After Tamerlane’s death in 1405, his son Shah Rukh, Ulugh Beg’s father, led the so called Timurid empire to economic blossoming and paid particular attention to intellectual progress. It is in this framework that, at some point, Ulugh Beg’s life took an unexpected turn from war campaigns towards the study of sciences and in 1417 he put forward the plan of building a Madrassah in Samarkand, an Islamic university. Unlike others, that were religion oriented, the Ulugh Beg Madrassah was designed for the study of the sciences. The wonderful, blue and ocher tiled building of the Madrassah with its gigantic façade, adorned with star like patterns, still stands, restored by the Soviets, at the magnificent Registan square in Samarkand. In 1424 Ulugh Beg launched the project of building an observatory with the capability of making measurements of unprecedented accuracy. The observatory remained active for three decades before fanatics level it in 1449 and leave it to be forgotten, until the Russian archaeologist Vassily Lavrentyevich Vyatkin (1869 – 1932) unearthed its remains in 1908, on a low hill in the outskirts of Samarkand. Today, a small museum and a memorial stand on the site while Vyatkin’s grave is placed just nearby, following his own wish. Ulugh Beg’s institutions attracted at least sixty or seventy top class scientists of the Islamic world: Ulugh Beg invited and appointed several of them as professors, including Jamshid Al Kashi (1380 – 1429) and Qadi Zada (1364 – 1436), two exceptional scientists who made key contributions to Mathematics and Astronomy of the era. Al Kashi, a Persian, is often mentioned as being Ulugh Beg’s favorite student while at the same time his premature death is sometimes oddly attributed to murder, ordered by Ulugh Beg himself. It is certain that Al Kashi grew up in extreme poverty and worked on problems of Astronomy while moving from town to town and even working as a physician to support his income. He had been always grateful to Ulugh Beg for securing him a permanent occupation and livelihood as a scientist at his Madrassah. Al Kashi’s mathematical productivity was remarkable and included a calculation of π, the ratio of the length over the diameter of any circle, with an astounding accuracy of nine sexagesimal (i.e. base 60) digits and treatises on Arithmetic, Linear Algebra, Geometry and Trigonometry. Qadi Zada’s full name “Qadi Zada Al Rumi” (meaning “The son of the judge, the Roman”) and city of birth (Prusa, in Asia Minor, a Byzantine city captured by the Ottomans only 40 years before Qadi Zada’s birth) suggest that Qadi Zada was a Greek convert to Islam, as the French mathematician Jean Etienne Montucla (1725 – 1799) points out in his “Histoire”. Osmosis of Greek Byzantine scientists towards the middle Asia was not uncommon, the example of Gregorios Chioniades (ca 1240 – 1320) being an obvious one. Qadi Zada left his hometown in Asia Minor in order to study the sciences in Transoxiana, where he gained a reputation and became the young prince Ulugh Beg’s teacher. It is probably after Qadi Zada’s suggestion and encouragement that Ulugh Beg began his plans of founding a Madrassah in Samarkand. The greatest achievement of Ulugh Beg’s institutions is certainly the Zij-i-Sultani, a catalogue of the positions of a thousand fixed stars, providing unprecedented accuracy. The measurements and calculations were carried out at the Ulugh Beg observatory, using a device of huge proportions, around which the observatory itself was built. The details of the mechanism remain unclear, however it apparently was a gigantic sextant (a so called “Fakhri” sextant, as a reference to the patron of the first such instrument constructed in 994) aligned to the meridian, part of which was carved on the rock. Vyatkin unearthed a finely constructed 2m wide trench, part of a calibrated arc of the instrument, corresponding to a radius of more than 40m. 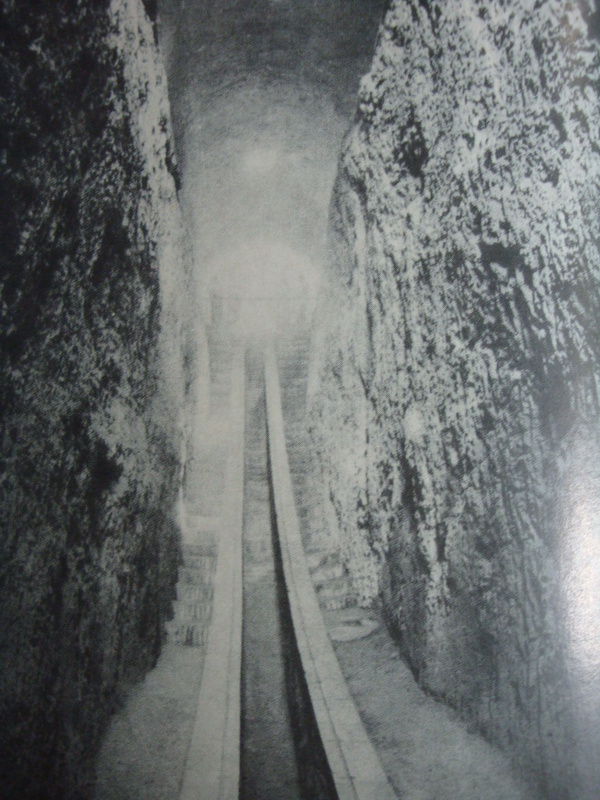 Narrow staircases on either side of the arc provided access to the scientists who performed the measurements. The trench remains the star exhibit of the archaeological site, though, oddly, it is now covered with a roof, giving it the appearance of a tomb. 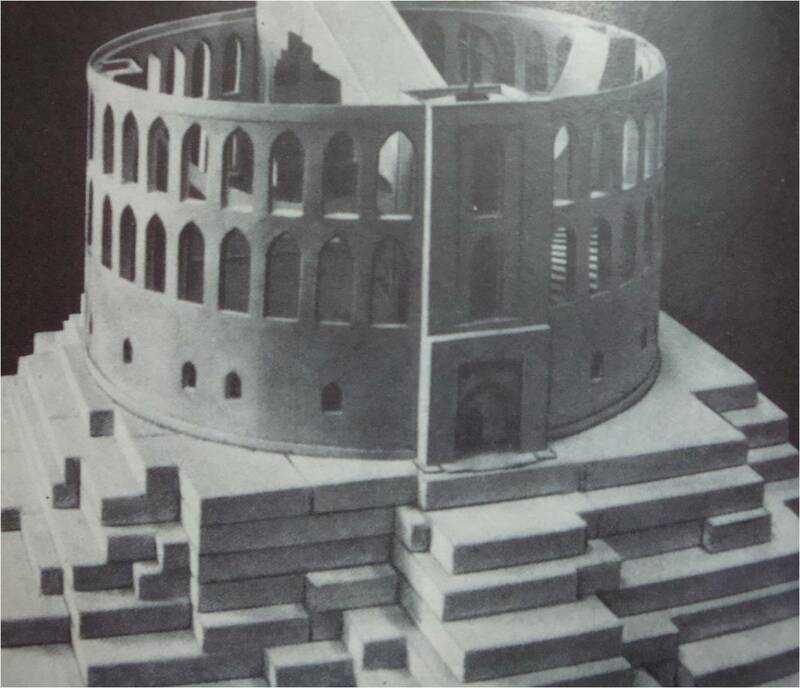 Around it were the remains of a circular structure, the now destroyed cylindrical shaped, three storey building of the observatory. A fragment of what appears to be a large gnomon was also discovered, a simple instrument allowing the calculation of the height of the sun by measuring the shadow cast by the gnomon. The instruments’ giant size permitted measurements of remarkable accuracy. For example, the sextant’s supposed radius of 40m corresponds on the arc to a length of about 70cm for each degree, 1.16cm for each minute and 0.2mm for each second, making thus fine measurements possible. Using that and other sophisticated equipment, such as an astrolabe and armillary spheres, the Samarkand group of astronomers, working under the patronage of Ulugh Beg, measured the length of the sidereal year as 365 days, 6 hours, 10 minutes and 8 seconds, with a discrepancy of only +58 seconds with respect to the exact value. Apart from the important results in Astronomy, the Samarkand scientists produced also some remarkable computational methods. An interesting byproduct of their pursuits in Astronomy, and necessary for achieving high accuracy in calculations, is the tables of trigonometric numbers, the kind of tables that used to occupy the last pages of any algebra textbook until about three decades ago. In the modern computers’ era, they became obsolete, as scientific pocket calculators became widely available. The calculation of sines and cosines, built-in the calculators, requires the use of mathematical series, i.e. the adding up of numbers (terms) produced by a certain rule; summing up more terms improves the accuracy of the calculation. In Ulugh Beg’s time such series were not available and the calculation of trigonometric numbers had to be done either by using elementary geometry and elementary trigonometric formulae or by ingenious approximative methods. As a matter of fact, the calculation of sines suffices as all other trigonometric numbers may be obtained from the sines alone. Moreover, the sines of negative angles or angles greater than 90 degrees are readily obtained using simple trigonometric formulae and therefore a table of sines for angles of only the first quadrant is sufficient. Though the sines of 0, 30, 36, 45, 60, 72 and 90 degrees are easily calculated (the calculation is standard in most elementary Trigonometry textbooks), in order to compile a table of sines with an increment of 1 degree, the calculation of sin1 proves to be fundamental. The Samarkand group solved the problem ingeniously. First, using the formula sin(a/2)=sqrt((1-cosa)/2) and the already known value of the cosine of 36 degrees, the value of sin18 and therefore cos18 can be calculated. Repeating the same procedure, sin9 can be found. Then, using the formula sin(a-b)=sinacosb-sinbcosa for a=45, b=18, the value of sin27 is obtained. Using the same formula for a=30, b=27, we arrive at the value for sin3. At this point, the formula sin3=3sin1-4(sin1)^3 can yield the value for x=sin1, provided we can solve the equation 4x^3-3x+q=0, where q=sin3. The methods of solving cubic equations however, such as the one considered here, were not available to 15th century mathematicians. The Samarkand scientists then proceeded by rewriting the equation in the form x=(q+4x^3)/3 and establishing a sequence with first term x1=q/3 and n-th term xn+1=(q+4(xn)^3)/3 which indeed converges to the solution (note that the first term of the algorithm was selected as a linear approximation of sin1). Thus the final step of the calculation involves the application of an algorithm and the approximation of the solution, a task referring to the modern Numerical Analysis. The above described method, although ingenious, is nevertheless painstaking and laborious as it involves the handling of numbers with several decimal digits in order to achieve the desired accuracy. The amount of labor invested by the Samarkand group in compiling only the table of sines can be appreciated if we consider that their table had an increment of only 1 minute (1/60 of the degree) and therefore it consisted of 5401 entries, with an accuracy of 5 sexagesimal (base 60) digits (equivalent to 9 decimal places, which is the accuracy provided today by most pocket calculators). 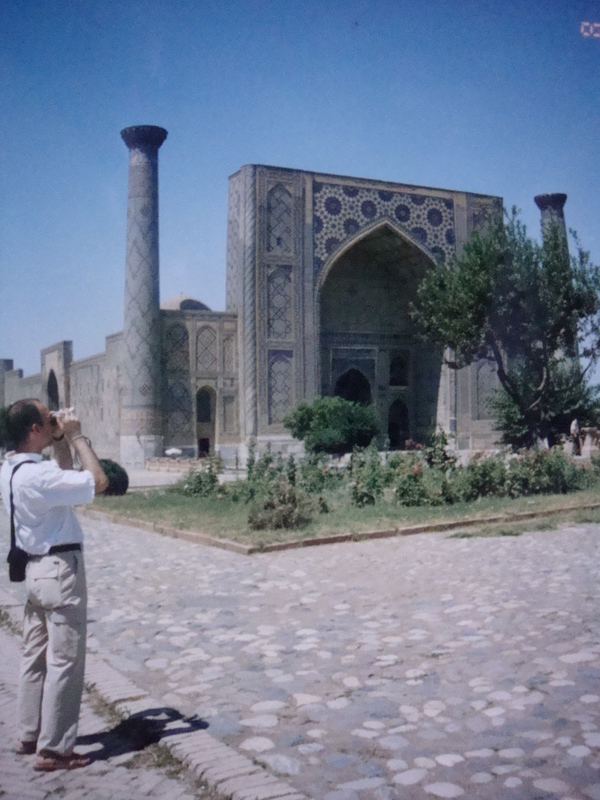 One may easily construct for himself an idyllic image of the bright minded mathematicians and astronomers working peacefully in oasis – like Samarkand, especially after visiting the town, the observatory and the as impressive as beautiful Ulugh Beg Madrassah with its quiet inner cells. The tumultuous history of Middle Asia allowed for the observatory to function for barely three decades. In 1447, upon the death of his father, Ulugh Beg became ruler of Transoxiana and after several defeats by neighboring rival kingdoms he was seized by his own son Abd al Latif and brought to trial in October 1449. The redeeming pilgrimage to Mecca imposed on him was interrupted just a few kilometers outside Samarkand, where Ulugh Beg was beheaded by a murderer, hired by Abd al Latif. His observatory was leveled to the ground, its library looted and the scientists driven away. The site was proclaimed by fundamentalists as the burial place of “forty maidens” and was turned into a center of pilgrimage. Few years after Ulugh Beg’s death, the Uzbeks, a people of Turkic origin, under Khan Abdulkhair took over the land of Transoxiana, sealing its fate. Centuries later, after the breakup of the Soviet Union, the greater part of the land between the rivers Oxus and Jaxartes formed the newly established (1991) country of Uzbekistan, where Amir Timur is worshipped as a national hero and Ulugh Beg is revered as a wise Uzbek scholar. “Religion disperses like a fog, kingdoms perish but the works of scholars remain for an eternity”.